Tjool is the Slide Manager with a search engine. PINP is a kind of html5 PPT, it provides: 1) Slide editor 2) Cloud disk system and client tool 3) A social community. PINP is free, please visit https://www.pinp.me/ for detail information. Zoom - The Slide Library is an organization tool for PowerPoint presentations. Ventuz is a professional tool for high-end 3D multimedia presentations. Ventuz is a professional tool for high-end 3D multimedia presentations. It is the perfect solution for presentations given in a business or event surrounding, where every aspect, from location over decoration to catering, has been arranged by specialists. In a setting like this, you need a presentation that can impress your audience beyond their expectations. 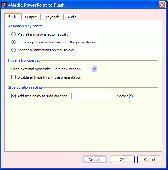 PPT to DVD is an all-in-one application,PowerPoint to Video converter and PowerPoint to DVD builder. Accurately preserve oringinal slide transitions,timings,animations,sound and narrations. Create video and DVD with crystal quality. Compatible with PowerPoint 2003,2007,2010. * Multiple Output options, write to DVD disc, Mini DVD disc,CD disc, convert to MPEG-2 movie; *Playback. VeryDOC presentation tools: PPT2Flash software, PPT to Flash software, PowerPoint to Flash software, Create engaging flash or swf presentation, demonstration, training course, and home slide show, convert powerpoint to swf, powerpoint to flash. Fx Image Manager 8 will provide you with a tool to save your favorite images to a database and distribute the database and a slide show player to your friends and family.